Here at MarketCulture we are big fans of the work of Professor George Day. He has written a number of books over the years around the idea of “Market-Driven” organizations and their ability to drive better performance outcomes. What do Toyota, Barbie and Dell have in common? Each succumbed to inside-out thinking and lost their market leadership. They lost sight of the core purpose of a business: to create and keep customers at a profit. This webcast offers an antidote to this self-defeating mind-set with a proven outside-in approach to strategy. Winning strategies are viewed through a customer value lens, and illuminated by deep market insights. 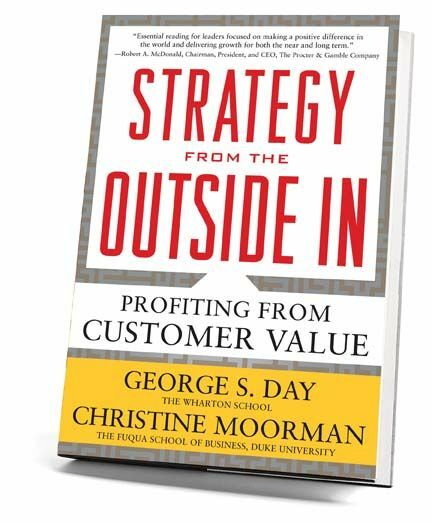 This entry was posted in customer focus, Customer Insight, Customer Satisfaction, Customer Value, Market Driven, Outside In and tagged linkedin; outside in; market-driven; customer focused. Bookmark the permalink.